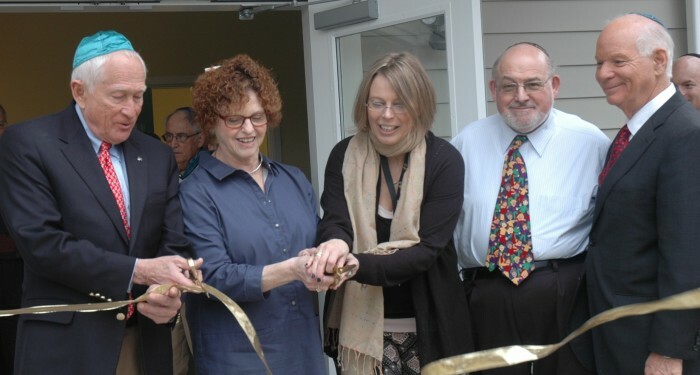 In March 2015, Congregation Kol Shalom held its dedication ceremony to commemorate its school and synagogue expansion. 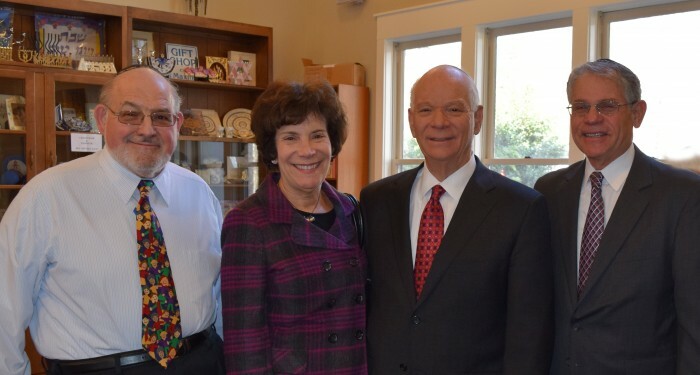 The Honorable US Senator Benjamin Cardin and wife Myrna presided at the event, along with MD Senator John Astle, to celebrate the modernization and expansion of the Congregation’s existing sanctuary and Daniel Rothman Religious School at Kol Shalom (DRRS). The expansion project includes large classrooms to accommodate students attending our Tree of Life Preschool at Kol Shalom, which opened in September 2015 for children ages 3, 4, and 5. In addition, the existing school was renovated to enlarge the classrooms and provide a new student library. State Senator John Astle, along with the Preschool Director Allison Charapp and Director of Education Sue Westenburger cut the ceremonial ribbon to the doors of the new wing that will house the expanded educational facilities. According to Stephen B. Stern, Chair for the Building for the Future expansion and improvement project, funding was made entirely possible by commitments from Congregation members and friends who generously invested in the vision, quality and availability of adult and childhood education in the community. 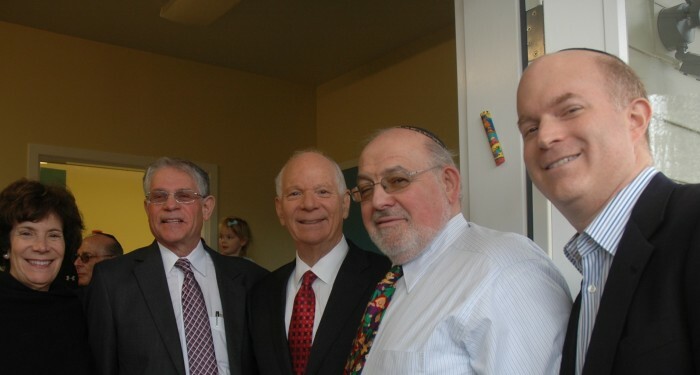 At the dedication ceremony, Senator Cardin with Rabbi Pohl (retired 2018), Congregation President Dr. Howard Salob and Fundraising Chair Stephen B. Stern placed the traditional mezuzah on the doorpost of the Congregation’s new Tree of Life Preschool at Kol Shalom.